← Festival-orama! 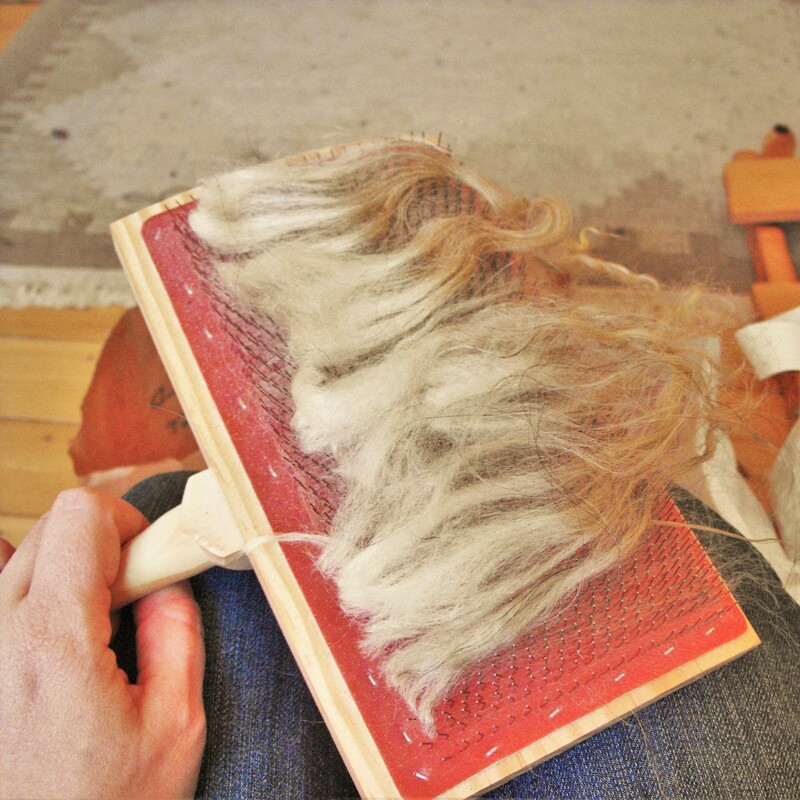 Part 1: Icelandic Knitting Fest 2015! This season seems to be bursting with all things knitty, and this year in Copenhagen was the start of something new and special: a knitting festival in the heart of the city! Knitwork 2015 was dreamt up by Kristina and Carsten, who in the months leading up to the festival got things revved up with a string of yarn bombing days and special pop-up events at unusual locations. The festival was fantastic, with stalls from local designers, crafters, farmers and indie dyers, and well-placed seating in the middle of it all to sit and recover from difficult purchase decisions! The very first purchase was this lovely fluff in the photo above from Fredsminde Unika Design– a hand dyed blend of super fine merino and silver stellina sparkle. 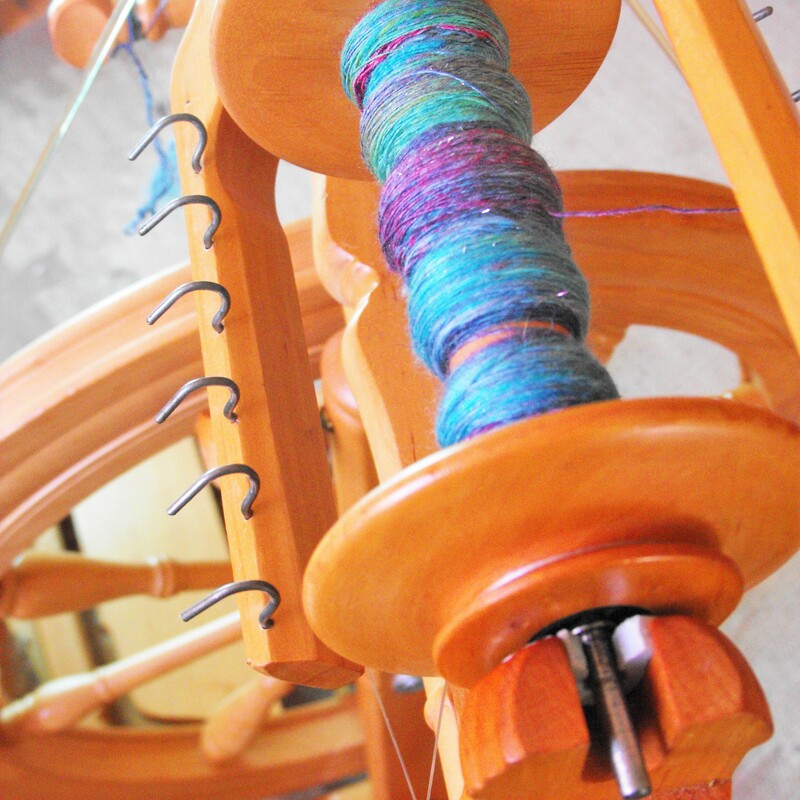 It is beautiful to spin and I wished the knit faries had stashed a few extra coins in my purse so I could buy more! She also has a huge array of gorgeous hand dyed sock yarns, which made me dither about for what felt like ages trying to decide what to go for. As I was on my own I felt a bit self conscious sitting down with my sock knitting with others I didn’t know, but knitters always have something to natter about and I was still there 2 hours later! Someone asked me how to do magic loop and I guess it looked like I was sitting there to teach because a few others stopped by for a quick explanation too, including an older Danish lady which stretched my very basic explaining-knitting-techniques-in-Danish speaking skills to the limit! Pretty soon I bumped into some of my fellow Yarn Lovers too and we had a lovely time hanging out in between wooly shopping and the different events and talks that were going on. Tickets sold out really fast for the workshops and talks, but I did manage to get to see Vivian Hoxbrø talking about the history of knitting and traditional garments worn in Denmark in the past. I find the history of knitting really facinating but don’t know much about it here, so it was really interesting to hear about and see archive photos of how people’s clothes changed with the advent of more industrial processes. Despite telling myself I had processed enough raw wool for one year, I couldn’t resist what I called the “bags of lamb” from Butik Spælsau– bags of sheared fleece from individuals in their flock of Spælsau sheep- an old Scandinavian breed in the same family as Icelandic sheep, with a rough outer coat and soft inner coat. I now have my Spælsau lamb fleece on the carders and it smells satisfyingly sheepy and is wonderfully soft. I have sorted the white from the grey/black parts of the fleece so that I can spin up the two natural colours seperately. Blimey, I think that’s enough knitty news for one post! We’ve recently moved house, so now that all the yarn is installed I hope to get back to a more regular posting schedule! But until then…Happy Knitting! 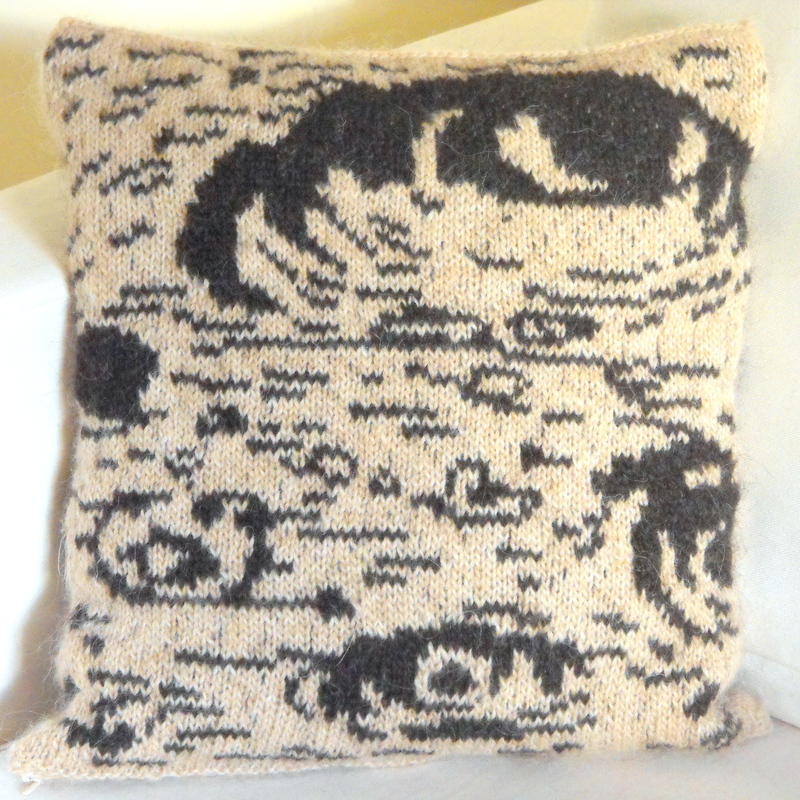 This entry was posted in Knitting and tagged Butik Spælsau, Copenhagen Yarn Lovers, Fredsminde Unika Design, København, Knitting, Knitting Copenhagen, Knitting Festival Denmark, Knitwork, Knitwork 2015, Raw wool, Spælsau sheep, Spinning, Strik, Strik Festival 2015, Vivian Hoxbrø. Bookmark the permalink. I can tell you the sheep from Butik Spælsau live the most beautiful place. :) I saw them last month in there natural habitat and they have a good life. Awww sounds lovely :) I need to get out there and say hello!